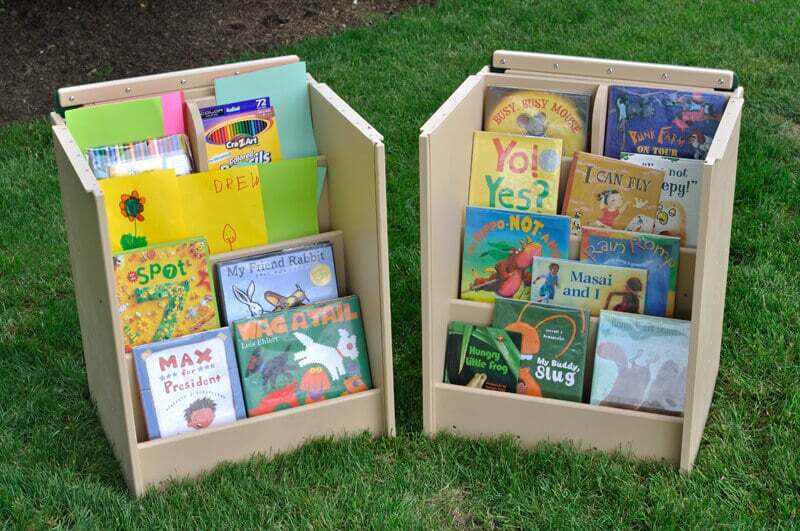 Our Bookcase with Lockable Lid is designed to display books and art supplies on the outdoor preschool playground. We use specially-formulated playground plastics to create the shelves and the exterior of the Bookcase so that the weather (i.e. rain, sun, heat and cold) will not affect whatever is stored inside, or the case itself. 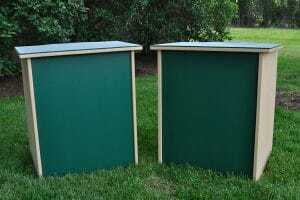 This outdoor learning equipment features a lid that can be placed on the front of the display case as well as the top. A lip wraps around the Bookcase so that rain water cannot leak under and ruin the books or art inside. For optimal performance, we recommend rotating books in and out every couple of weeks to eliminate the effects from humidity. Books and lock are not included.